Meet us at the Parasitec on our booth n°A70 ! Sophie Aviron Violet present : ” Biocides market authorization: specificities of products based on essential oils”. This is the Europe’s leading trade fair for pest control technologies. and parasites. 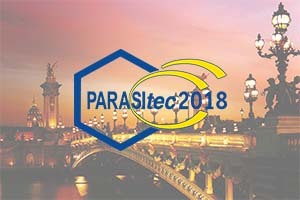 In 2016, Parasitec was a great success with more than 3000 visitors at the Paris Event Center Villette.